Does Free Really Help Sell Books? As I’ve been working on the launch of my new book, I’m struggling with how much to give away for free. I’ve read conflicting reports on offering your book without cost. Some say you’ll gain so much word of mouth that we all should do it. Others say you devalue your content and make those who have paid for it feel cheated. 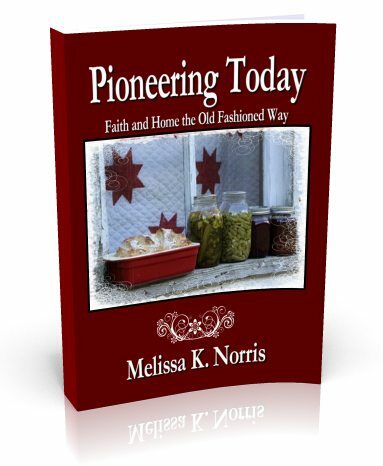 My new book, Pioneering Today: Faith and Home the Old Fashioned Way, launches today. I decided to give something away for free and a bonus gift. But I put a time limit on it. If I know I’ve got a limited time frame it makes me get to it first. I’m thinking I can’t be the only one who thinks this way. I’m offering up my first chapter for free. Now that’s nothing new, you say. Authors do this all over the place. But not all authors use this great free application called “Pay with a Tweet.” In order to read my first chapter, people can choose to pay with a Tweet or Facebook share. It represents word of mouth marketing for me and also gives the reader something for free. Want to see it in action? Go to my book page here. That’s not my only freebie. For every reader who purchases my book on Amazon and forwards me the copy of their proof of purchase, email, and mailing address, I’m going to mail them a secret recipe and the link to a full length bonus chapter, but only through October 31, 2012. I’m hoping this will help people to purchase now, before it falls onto their to-do-list and is forgotten. I also feel that these items provide real value and content to the readers of my book. Because that’s what great marketing boils down to. The reader asking what’s in it for me? Have you ever bought something from an author because you enjoyed their free content? Do you think free is better or do you believe you get what you pay for? Have you seen a jump in sales from giving away free copies? This entry was posted in Marketing and Promotion, Non-fiction, Publishing, Social Media and tagged book sales, free content, freebies, marketing, Melissa K. Norris, word of mouth marketing by Melissa K. Norris. Bookmark the permalink. Great ideas , Melissa. Will you do a future post to let us know how they worked? Love your idea of pay with a tweet or FB post. I would also like to know how your ideas worked. Thanks, Melissa. Very interested in how you set up the Twitter click system. Can you provide any guidance on how you went about doing so? Thank you for the great idea! It’s really quite easy, Kim. Here’s the link to the website. It walks you through it but if you have any questions, let me know! http://www.paywithatweet.com/ You do have to have your content on an unassigned webpage (w/ self-hosted WordPress) or a page that isn’t visible for anyone to just click on w/ out using the Pay w/ a Tweet app. Melissa, I also like that pay with a tweet or FB post idea. I’ve found that despite their best intentions, some people simply forget to do the FB sharing they meant to do for you. But tying it to a reward is a great idea and a strong motivator. Thanks for the tip! People do forget and I think they don’t realize how much their word of mouth helps. It also shows that the content has value, even if they are paying for “free.” 🙂 If you need any help setting it up, ask away. Thanks for sharing your promotional ideas, Melissa. That’s open-handed of you. Best wishes for the success of your book. More than anything, I look forward to reading your book. As an avid “Little House” fan, I’m especially interested in your topic of Faith and Home the Old Fashioned Way. Praying great things for you! I’d love to hear what you think of it, Anita. “Little House” girls unite!